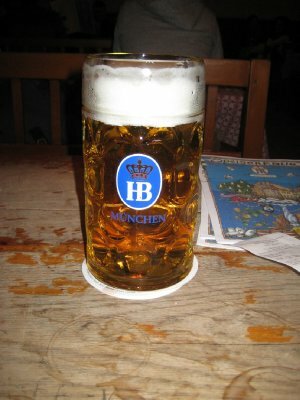 While in Munich, recently, I went to the Hofbräuhaus. 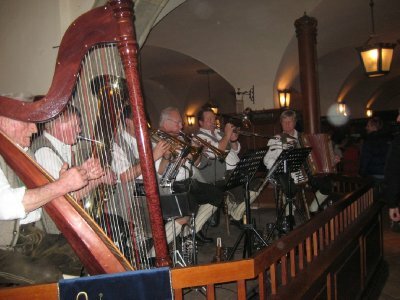 The Hofbräuhaus was founded in the 1500s by Duke Wilhelm V of Bavaria, and is an absolutely massive beer hall. It has multiple rooms over a number of floors, and long communal tables. It was generally quite busy, and you just find a place where you can. 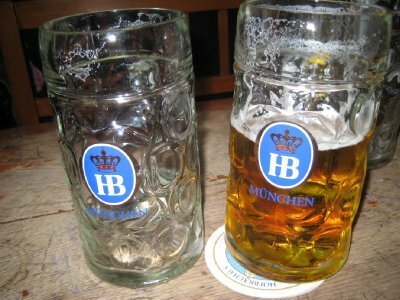 I made two trips to the Hofbräuhaus. The first night, I sat with two Italians and a Polish couple, both of whom were in town for a sportswear conference in Munich. The second night, I sat with a couple of Brits, and a group of 6 Indians. The Brits were on holiday, but the Indians were there for the sportswear conference. Its nice at the communal tables, especially as a solo traveller, as you wind up meeting people and talking to them. 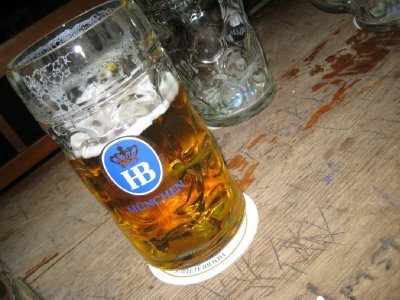 The strange thing is, sitting in that beer hall in Munich reminded me of another experience I had years ago in Montreal. There used to be a bar in Montreal called the Vieux Munich (Old Munich), which was a Munich-style beer hall. Apparently an offshoot of the popular German pavilion at Expo '67 (which featured a beer garden), the Old Munich was a communal seating beer hall, where you sat at a long table, drank beer and listened to Oompah-pah music. I first went there when I was 18, in 1988. In Toronto, Ontario, Canada, where I grew up, the legal drinking age was 19. However, one province over, in Quebec, the drinking age was 18. Therefore, for my 18th birthday, I travelled with some friends up to Montreal to celebrate. It was a bit of a hazy weekend, admittedly, with lots of drinking. The Vieux Munich, though, stuck with me. I loved the happy atmosphere, the celebratory nature of the place, the music and the people. Leaving at the end of the weekend, still with my cardboard Alpine Hat on my head, the Vieux Munich was my favourite part. I next travelled to Montreal in the mid-1990s with another group of friends, and despite my hopes, we never made it to the Vieux Munich. "Oh well," I thought, "next time." Since then, I have travelled to Montreal often. I never did manage to find the Vieux Munich again. I would often search for it, asking hotel staff and locals, but no one seemed to be able to direct me to it. Turns out it was because the bar closed in 1994. Over time I started to even doubt that the Vieux Munich was as I remembered it. I began to think I imagined the communal tables, the folks singing along with a brass band and clinking glasses. I started to chalk it up to the sepia-coloured quasi-fantasy of nostalgia, believing perhaps that I was over romanticizing my first legal drinking experience. 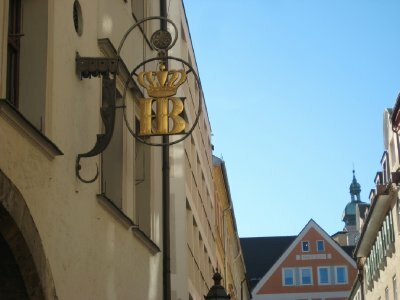 Then I went to Munich, and to the Hofbräuhaus, and suddenly I realized that the Vieux Munich had been real, and had been as great as I remembered it. 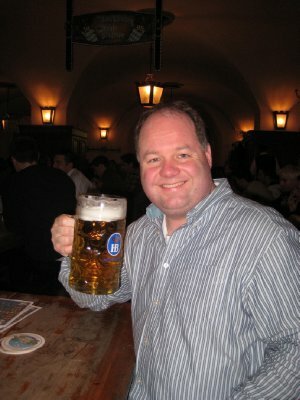 I sat in that beer hall in Munich, clinking glasses with a Polish couple and two Italian t-shirt manufacturers, and smiled as I looked back on my 18 year old self, doing the same thing six timezones and a half a lifetime away.